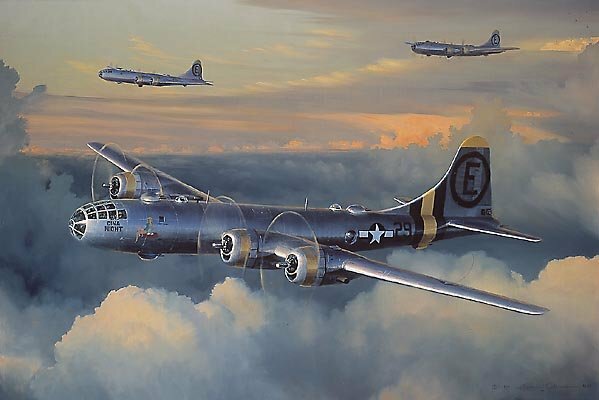 "Fifty Miles Out" could mean either fifty miles from home after the bombing raid or out from the target. There's a sense of majesty and exhilaration but urgency, too. Because coming back they would be setting up to land with possible wounded on board. Fifty miles out from target would have a sense of anticipation and some anxiety about flack and fighter coverage.